Another one of my favorite heirloom varieties is the Thai Roselle, also called Jamaican Sorrel, Florida Cranberry or Red Thai Hibiscus. 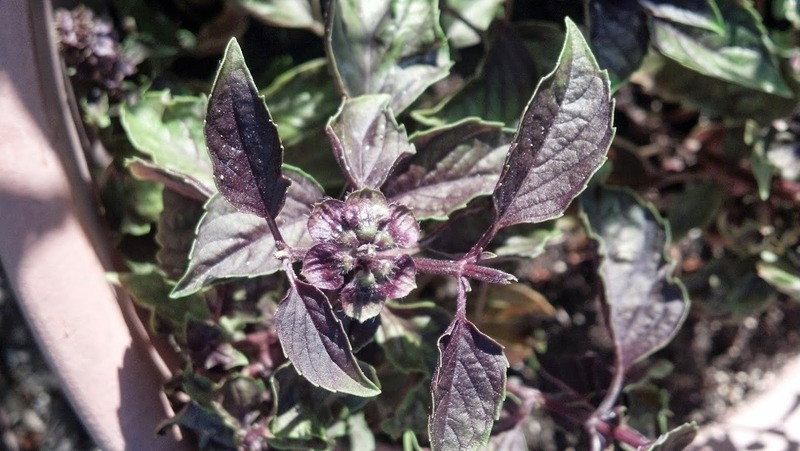 This is another unique variety that would make a great addition to your garden! "A valuable plant for making cranberry-flavored bright red beverages, jelly, pie and tea. Much grown in Asia and the mid-east as the flavor is wonderful. A tasty sauce can be made by boiling and sweetening the fleshy calyxes; the leaves are also used to make a drink. The entire plant of this Hibiscus is red and very beautiful. Start early, unless you live in the far-south. Citrus-flavored flowers are delicious on frozen deserts. Also called Jamaican Sorrel, Florida Cranberry and Hibiscus"
Roselle was called “Florida cranberry” in the 1890s. The flowers and young leaves are edible and have a citrus tang. Hibiscus, of which Roselle is a variety of, is a tropical plant, but if started indoors it can be grown successfully in more northern climates. You want to start your Thai Red Roselle around the same time you would plants like peppers, tomatoes and eggplants. Since this is a heat-loving plant, you want to give it as much of a head start as you can. Thai Red Roselle is susceptible to aphids, so either use an organic spray or companion plant to control insects. Roselle branches should be pruned when they are 12-18 inches tall to help control height. These plants can reach up so 6 feet in height. "Botanically speaking, it's Hibiscus sabdariffa L. (family Malvaceae) and it’s the bushy H. sabdariffa var. 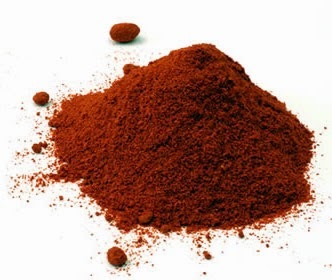 sabdariffa that produces the edible products.The edible parts used to make “juice” or tea (actually, an infusion) look like reddish dried-up buds. In fact, they’re not flowers but calyces. It’s the calyx, the red, fleshy covering enclosing the flower’s seed pod, which is used for flavoring, cooking and food coloring. The flower of this variety of sabdariffa is yellow, white or light pink. Although roselle is being studied, it hasn’t yet been proven to have the healing powers of bael fruit. It is high in calcium, niacin, riboflavin, vitamin C and iron, as seen on this Purdue University page. And the beverages have no caffeine. 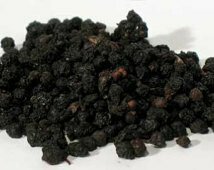 In East Africa, "Sudan tea" is consumed as medicine to cure coughs. In Guatamala, roselle is believed to cure hangovers. In Senegal, a roselle extract is said to lower blood pressure. In India, Africa and Central America, infusions made from roselle calyces or seeds are prescribed as a diuretic, to stimulate bile production and to treat fever." 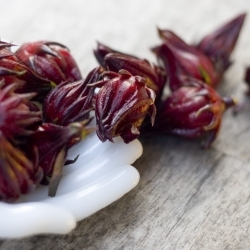 I use Thai Roselle to make a delicious tea. I hope you have enjoyed another educational article and video. Please share so that we may help more people grow their own organic food! Before I get into any more tincture recipes I thought I'd share another one of my favorite herbs. Feverfew is actually a flowering plant. It can be grown for it's medicinal properties or as an ornamental. The word "feverfew" derives from the Latin word febrifugia, meaning "fever reducer." Chrysanthemum Parthenium Feverfew is easily grown from herb seeds, and it is a hardy perennial with deeply cut leaves and lovely daisy-like blooms that measure 3/4 inch across. It is native to Southern Europe, but today it can be found in many areas of the world. A synonymous botanical name is Tanacetum Parthenium. Feverfew is a medicinal herb with a long history of use. The leaves are dried and used as an herbal remedy for migraine headaches. The Feverfew herb contains parthenolide which can relieve mild spasms and is an anti-inflammatory. Some people take it to relieve the pain of rheumatoid arthritis. Start seeds indoors in colder climates. Transplant once first true leaves are developed. Give each plant around 8-12" of space once started and thin as needed. Feverfew will readily self-sow after going to seed. Soil should be well-drained and moderate. From Seed to Harvest is approximately 85 days. 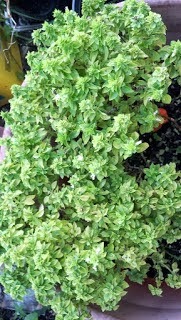 I'm currently working on a "herbal reading list" for just about anyone interested in growing, eating and using herbs. Stay tuned! We now offer more Organic Herbs at Mary's Herbal Organix for your herbal pleasure! 1. Start with a cleaned and sterilized glass jar. 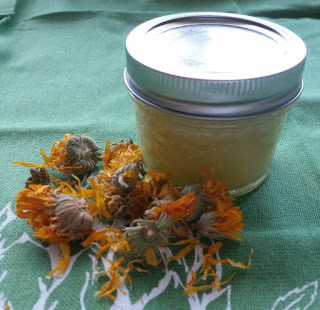 Place organic Chamomile in your jar. 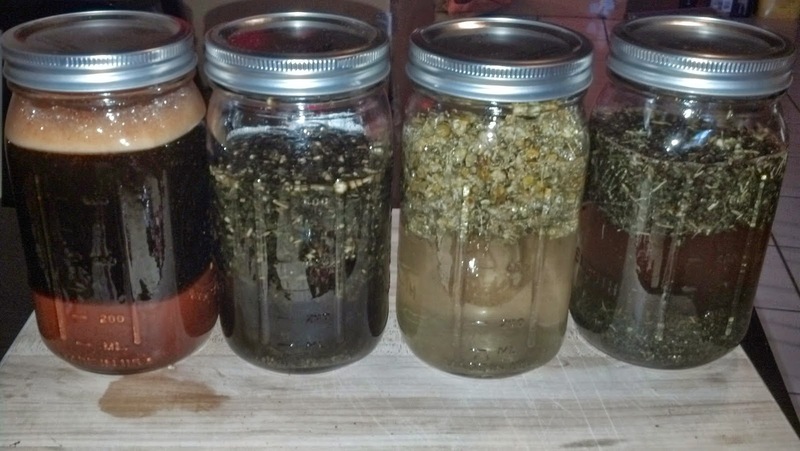 Start straining and consuming Chamomile Tincture after 4-6 weeks. I take approx 1 teaspoon before bed or as needed. I love tea! My sisters and I grew up drinking English tea with our Gran so every time I brew a cup I think of Granny. With the start of a new business I have found that it's important to take a few minutes to relax and clear my mind so my "tea time" has become very important. 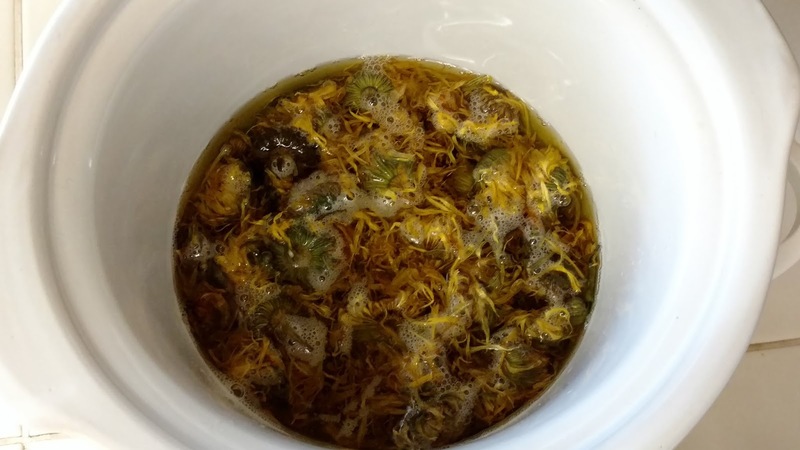 I Grow Chamomile for DIY recipes and Brew Chamomile tea! There are many ways to use Chamomile. Chamomile tea is an excellent way to unwind after a particularly hectic day. Today I'll share the Health Benefits of Chamomile. 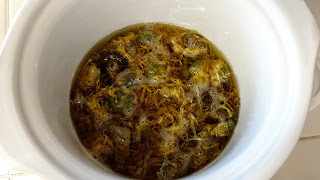 Tomorrow I have a great project/gift idea for Chamomile Tea. 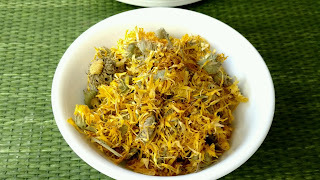 Chamomile is wonderful remedy for sleep disorders such as insomnia. 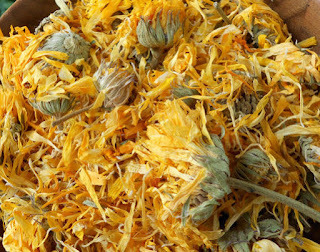 Simply make a chamomile tea 30 to 45 minutes before going to bed to treat sleeplessness. Chamomile reduces cramping and pain in the bowels and also helps to relieve excessive gas and bloating in the intestines. Therefore, a simple remedy is to drink a cup of chamomile tea to help relieve irritable bowel syndrome, nausea, and gastroenteritis or stomach flu. Drinking chamomile tea has been found to be beneficial in treating PMS and Menstrual Cramps. Chamomile oil is very useful in treating bad burns. Simple rub a small amount of oil gently across the burned area once a day. For scrapes and burns you can also brew a strong concoction by adding 3 tea bags to one cup of boiling water. When the water cools, dip a cloth into it and use it as a compress on the wounded area. Chamomile has been found to be advantageous for lightening your skin tone. Simply bring two quarts of water to a boil with 2 chamomile tea bags in it. Then place your face above the steaming pot of chamomile tea. A bath in water mixed with chamomile tea works too. 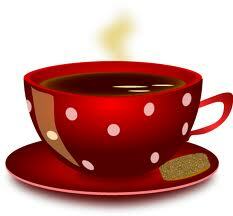 Chamomile tea has been found to help relieve eye fatigue and dark circles. A simple remedy is to dip 2 chamomile tea bags in warm water. After 5 minutes, remove the tea bags from the water and let them cool to room temperature. Then place them on your eyes at night as a compress. What are the Side Effects of Chamomile? As with all herbal products, moderation is the key to avoiding adverse reactions. Some of the potential side effects of chamomile include drowsiness, so use it with caution if you are driving or operating machinery. 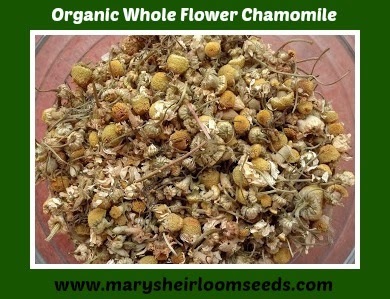 High doses of chamomile can also cause vomiting and/or skin reactions in some individuals. 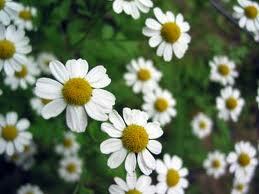 If you are allergic to ragweed pollen or have hayfever, you may have difficulty using chamomile. Using chamomile during pregnancy is not recommended, since it is considered to be an abortifacient (a substance that induces abortion). Chamomile is also not recommended if you are currently taking blood thinners, since chamomile contains a substance called coumarin (which is also a blood thinner). I choose to bag my own tea (or use a diffuser) for several reasons. 3. A big machine probably bags commercial teas so there might be some sort of contaminants like machine oil. 4. When I'm done, the bag and leaf go into the compost bin. Enjoy a cup of organic Chamomile tea with me! Infuse by taking 1 teaspoon of herb to 1 cup of boiled water, over tightly; steep for 5-15 minutes. Strain and enjoy! Have you ever considered the "medicine" available to you, grown in your own backyard (or farm). From Basil to Coneflower and even Thyme, there are so many reported health benefits of many common (and not so common) herbs and flowers. 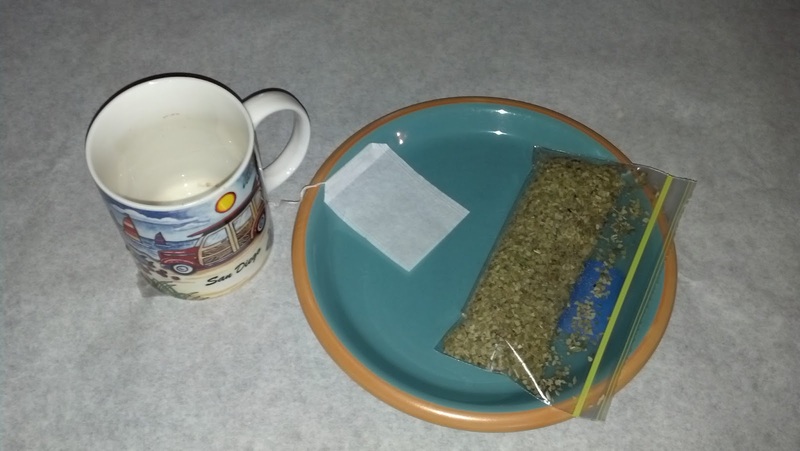 Mugwort seeds germinate best with a cold treatment. Some herb gardeners will sow the herb seeds directly out in the garden in the late fall for germination the next spring. Others with mix the herb seeds with dampened peat moss and place the Mugwort seeds/coconut coir mixture in the refrigerator for 2 to 4 weeks before planting. If you want this one in your garden and you don't want it to take over, it's important to have deep sound borders around it. It can grow up to 6 feet tall and the leaves can be up to 2 to 4 inches long. Once they start they will grow rapidly, and can be difficult to control. 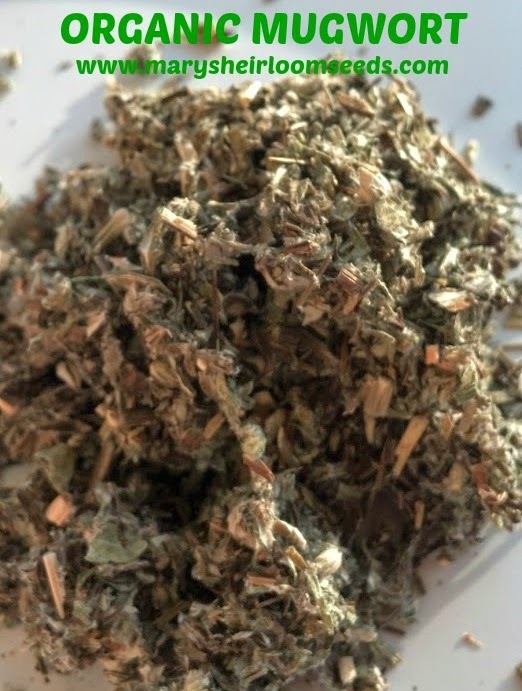 Mugwort has many medicinal properties such as stimulant, antibacterial, purgative, anthelmintic, nervine, antiinflammatory, hemostatic, antiseptic, expectorant, antispasmodic, emmenagogue, carminative, digestive, diaphoretic, and cholagogue properties. Because of these properties, it is also used to thin blood. Mugwort is used in the treatment called moxibustion where it is attached to acupuncture needles. It works on the affected area by releasing heat. This technique is very effective in treating breech babies to change their cephalic position during delivery. Even though it has so many medicinal properties, it should not be used by lactating women as this herb can pass through milk to the infant. Since the leaves are bitter in taste, they are used as a bitter flavoring agent in foods to season meat, fish, and fat. It is also used on roasted goose which is done for Christmas. 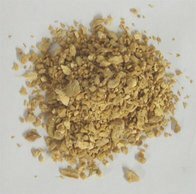 It is used by the Chinese and Japanese in many foods such as juices and rice cakes. It has many essential oils such as thujone, wormwood, and cineole. Mugwort also contains derivates of coumarin, triterpenes, and flavonoids. This herb has found its use as an insect repellent too to eliminate moths from fields and gardens. It is also used as a smudging herb for divination. Do not continue to take any Artemesias for more than 1 week. Break for several weeks before taking mugwort again as regular use of mugwort can cause nervous issues. Harvest mugwort shortly before it flowers and hang the leafy steps upside down in a dry place away from sunlight to dry. Collect the root in autumn. Wash and dry mugwort root thoroughly and lay it on a screen to dry. Do not let the roots touch one another or they may mold. 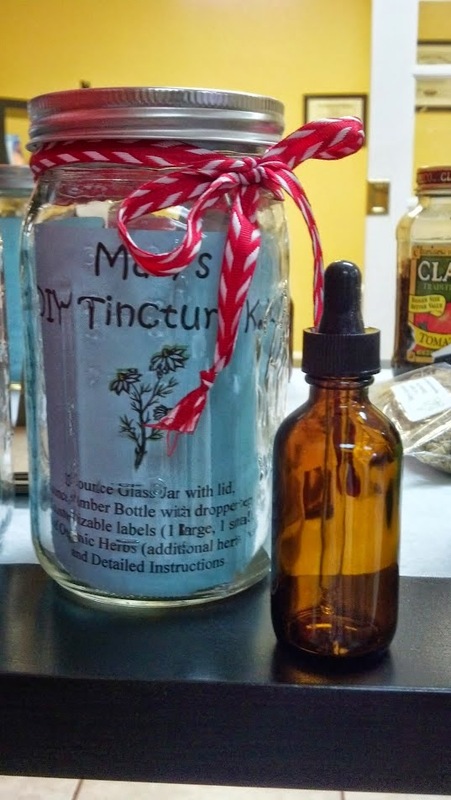 We have DIY Mugwort Tincture Kits at Mary's Tincture Shop! Infusion - 1 ounce dried herb to 1 pint boiling water. 5-10 minutes. Do not make steep for too long or it will become intolerably bitter. Disclaimer: Should not be taken if pregnant or nursing. Not as a substitute for professional medical prevention, diagnosis, or treatment. Please consult with your physician, pharmacist, or health care provider before taking any home remedies or supplements or following any treatment suggested by anyone on this site. Only your health care provider, personal physician, or pharmacist can provide you with advice on what is safe and effective for your unique needs or diagnose your particular medical history.